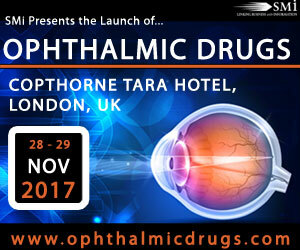 With the event now Just 1 week away, I wanted to remind you that there is still time to secure your place at Europe’s Leading Ophthalmic Conference; SMi’s Ophthalmic Drugs, taking place on November 28th and 29th in Kensington, London UK. Presenting Case Studies & Topics Within: Novel approaches to the treatment of ocular diseases such as presbyopia and glaucoma, combating challenges in drug release and delivery, regulatory considerations involving new technologies and patient reported outcomes. Gain insight from leading industry speakers of the latest challenges in ophthalmology, including case studies and real life clinical trials. Take advantage of meeting your peers under one roof with over 6 hours of networking. Visit the download centre to take a look at the latest list of attendees and access exclusive interviews with key speakers. For those looking to attend there are currently special rates available. Book online or get in touch.